The best gaming monitors almost always have options for both the cost conscious and those who are willing to spend a fortune to get the cream of the crop, but for professional-grade displays, we rarely see models which make sacrifices in some additional aspects of the total package. ViewSonic is one company who we recognize as one manufacturer who focuses on performance rather than aesthetics to provide customers with specific demands their products which are of fantastic value in any setting. 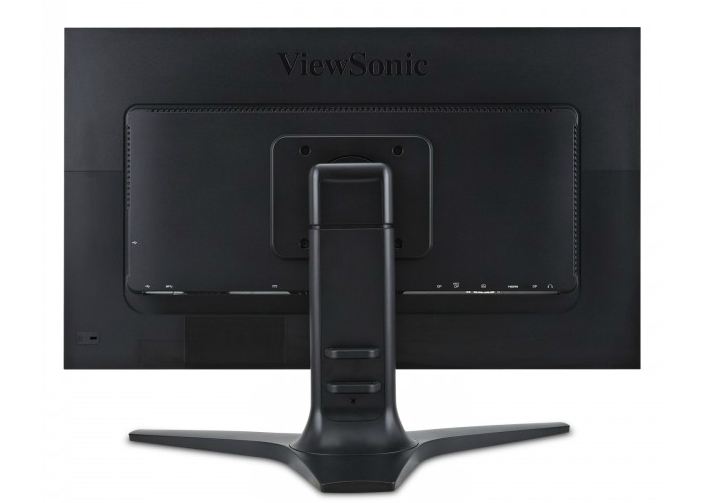 They have excellent products such as the ViewSonic XG2700-4K which can toe to toe with high-end competitors at a more reasonable price point. The ViewSonic VP2772 is one such product, with its excellent color critical features wrapped in a discrete exterior which goes to show that the company’s products are no-frills options if you are looking to get the most out of your hard-earned dough. 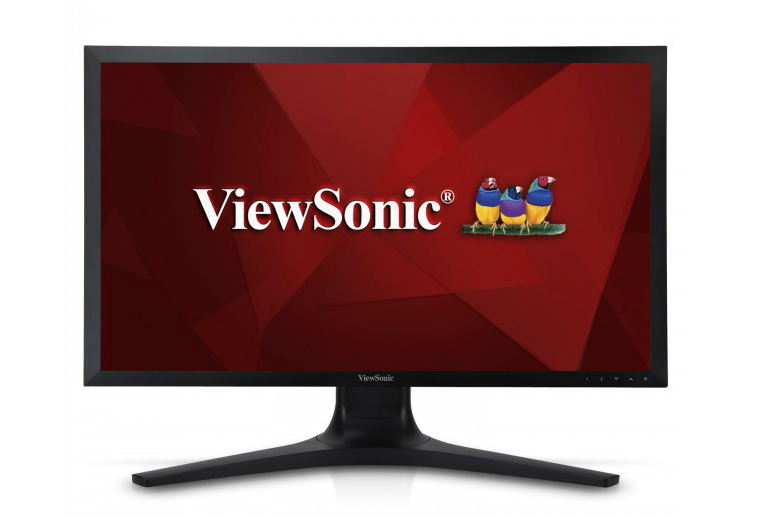 One look at the ViewSonic VP2772 and anyone would say that the product looks like it was released three to five years ago. The bezels are unattractively thick at more or less one inch on each side, and apart from the ViewSonic Logo and the OSD button labels, there isn’t much to its frontal appearance. The whole cabinet has a matte black texture which sometimes appears a bit glossy, but overall, the product looks nice and tidy. To make up for what it lacks in aesthetics, we found the build quality of this model to be robust and stable. Once attached to its stand and placed your desk, you can expect the screen to be as steady as a rock due to the broad reach of the base and its more than 18 pounds of heft. From the side view of this display, you can notice that it surprisingly looks streamlined since the depth is reasonably thin. If you look at this product from the front, the long reaches of the arms on the base will make you think that this is a bulky monitor. But this assumption wasn’t the case. 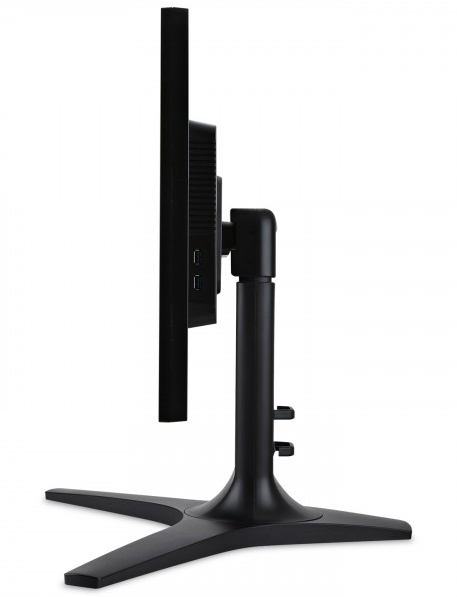 Although plain looking, the stand offers a variety of ergonomics which will enable users to adjust the massive screen quickly to find a comfortable view angle. We did find the attachment design of the base to the whole product a bit quirky and outdated since the VP2772 relies on a pin instead of the snap-on or quick-detach we have seen on advanced products. The mechanism attaches to the rear’ cabinet’s bulge, but users can remove it quickly to reveal VESA 100 x 100 holes for mounting. Another thing we like about the VP2772 is its plethora of connectivity ports which includes both a regular and mini DisplayPort, HDMI port, USB 3.0 receptacles, a DVI-D port and a DisplayPort out which will allow daisy chaining with other displays. The I/O layout is satisfactory regarding practicality, but we would have preferred to have the two USB 3.0 ports closer to where a user can easily reach them without having to look at the rear of the whole thing. The VP2772’s OSD menus are as outdated as the whole product looks, but we did find interesting features such as dedicated Adobe RGB and sRGB emulation modes, Overdrive and Overscan options, plus varying color temperature modes and a dedicated gamma adjustment, which is a feature sorely needed by color-critical products. The buttons for accessing and navigating these menus are under the bottom bezel and are accentuated by a lighting strip which glows blue when in use and amber when in standby mode. You can turn the illumination off in the OSD if you wish. The pricing and aesthetics of the VP2772 dictates that there is more to it that meets the eye, and the spec sheets and the capabilities in practice confirm this assumption. The 27-inch 1440p 10-bit IPS panel which has a 3H AG coating. According to ViewSonic, this model has a 12-bit engine and a 14-bit LUT, so we expect fantastic color vibrancy and accuracy from the screen. Out of the box, the display looks bland, but we did test the accompanying sRGB and Adobe RGB modes in the OSD. Both options corrected the Delta E results from the dismal accuracy rating of 3.3 to less than 1.3 and 1.5 for each with a minor penalty in the contrast department and locked brightness level of 225cd/m2. We did not find this limitation to be a big issue since 225cd/m2 is a typically comfortable level for most users. We found this convenient for out of the box users, but if you want to get the most out of the VP 2772, you will need to tweak the individual settings according to your taste. Although, It is important to note that the 14-bit LUT is not programmable, so you cannot use hardware calibration on this product. The VP2772 is not built for gaming since it does not carry Freesync or Gsync, fast refresh rates or response times. The spec sheet clearly states that this model has a dragging 12ms GtG response time, making it less ideal for fast-paced action. You can use the Overdrive function in the OSD to boost the pixel response, but the input lag was measured at over 25ms so that games will feel clunky or slow, and users will experience delays. We also found common IPS issues with the unit, since there was a bit of skewing regarding brightness uniformity at one side of the panel. This flaw did not result in a massive loss of color detail at this quadrant of the screen, but we would appreciate improvements in this regard since this is marketed as a color accurate monitor. Also, including a uniformity tool or adjustment would have helped the VP2772 tremendously when it comes to this issue, but sadly, ViewSonic did not include a feature for that. On a positive note, we did not notice any dismal backlight bleeds on the corners, but remember that buying IPS equipped products is a lot like the lottery; you win some or you lose some. There is a lot to like about the ViewSonic VP2772, but we did see some noticeable compromises that come with the price cut. The first thing you notice about the product is its aging aesthetics, but we think that most users who are looking to get these types of displays would rather have performance than decorative appearances. Usually, visually appealing offerings entails huge additional chunks in pricing, and this is one aspect where ViewSonic is trying to outplay their competitors. We did find the sRGB Mode and Adobe RGB mode to be surprisingly good, but using these presets locks out important options such as brightness controls so you might not be able to adjust according to different moods or scenarios. Still, the Delta E results were fantastic when compared to what other brands and models offer, so this is a big plus in our book. The ViewSonic VP2772 isn’t an ideal gaming peripheral due to its sluggish response rates and input lag times, but for aspiring designers or start-up studios, this is an excellent option since you can get color accuracy conveniently in a competitively priced package.